The Kasarani team has moved on to work on positive civic engagement. Specifically, they are focusing on creating a document that will capture community needs and can be presented to political aspirants as well as scorecards to measure whether the individual elected is successful in tackling their needs. They have begun two community forums (one each in Baba Ndogo and Korogocho), involving a representative group of community leaders from different ethnic communities, religions, genders, and ages. This Saturday May 16th, they will hold a joint forum with the attendees of both previous forums and an additional twenty individuals who have been invited to harmonize their needs assessment for both communities and prioritize the needs they have identified. They will involve the community for awareness and opinions via the SMS platform after this baseline is established. The Kasarani team continues to send civic education SMS to the community subscriber base, educating them on the new constitution. The SMS were created at a training led by Treasurer to the Board Damaris Lukwo (Dama), who is a Kenyan lawyer who has specialized in community trainings and the new constitution. The training brought together Dama’s expertise with the chapter members’ knowledge of which information is important to groups on the ground. Kamukunji is a constituency in Nairobi that is a central to politics within the city. It is a focal point of jua kali work (“hot sun” work, or casual outdoor labor) within the city, and has a very diverse population. SNA-K’s Project: SNA-K received a short-term grant from USAID’s Office of Transition Initiatives (OTI) to conduct programming in Kamukunji in the lead-up to a disputed by-election [sic] for the area’s Member of Parliament, which was scheduled for the end of May 2011. SNA-K began work in Kamukunji in April 2011. SNA-K recruited 18 volunteers from Kamukunji community organizations who conducted outreach for the local phone number throughout Kamukunji. Approximately 7,000 individuals signed up in the volunteers’ two weeks of outreach. Subscribers were varied, with jobs ranging from civil servants, elders, and religious leaders, to matatu touts (workers on a form of public transportation), unemployed, housewives, and jua kali labor. Confirmed subscribers received civic education messages sensitizing them to good leadership under the new Constitution, which were created through an expert-led workshop with SNA-K’s Kamukunji volunteers. Over 5,000 subscribers were given the opportunity to participate in an SMS-based survey of community needs, which was used to craft questions at a local debate between political aspirants (results to be available on this website soon). The most common community concern was unemployment. One business day before the by-election was scheduled to take place, Kenya’s High Court postponed the election because of a pending election-related case. SNA-K sent a message to its subscribers asking them to wait peacefully and patiently for more information and to accept the High Court’s ruling. 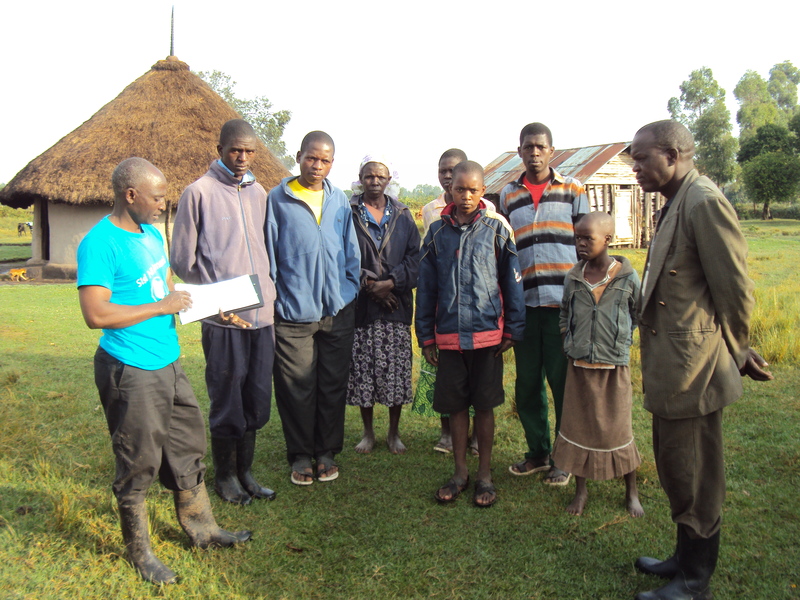 The community response was overwhelmingly positive, and community members called SNA-K’s volunteers to thank them for the message and let them know that it provided accurate information and helped to maintain peace and patience in Kamukunji. Throughout the process, SNA-K used its Kamukunji network to monitor tensions and signs of tensions, and engaged in collaboration with the NSC (National Steering Committee, a government body appointed with coordinating Early Warning and Response). SNA-K reported signs of tension to the NSC for action. Looking Forward: SNA-K is continuing to develop civic education messaging to educate Kamukunji subscribers about the new Constitution, and following closely as the High Court case proceeds with its case and decision with regards to the continuation of the by-election.